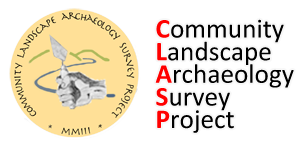 CLASP is intending to have three major excavations in 2019 subject to agreeing the scope and dates with the respective farmers. Romano-British site at Crick: This to be early July and to be the opportunity to attract new members, with training arranged and the dig continuing over a weekend. Roman site at Manshead: Test pitting proposed. Dates to be confirmed. Anglo Saxon cemetery: Dates to be confirmed. A number of possible other smaller projects (at Barby, Everdon, Towcester, Woughton on the Green) would be considered once proposals were received. A proposal for a possible geophysics project at Guilsborough would also be fleshed out. Further details will be published as andwhen possible.